Jase is using Smore newsletters to spread the word online. I would recommend this book to whoever likes drama,thriller,mystery, and crime. It's about Light, a bright student who stumbles across a supernatural notebook that has the power to kill any person whose name he writes in it, but the catch is he has to picture their face.Light's goal is to wipe the world of evil, but takes it to far. 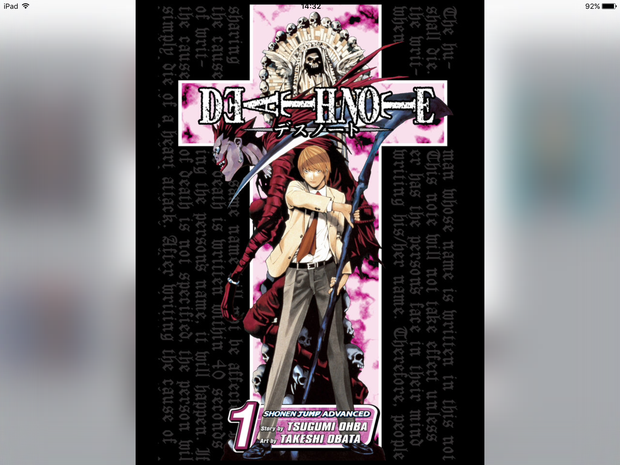 Death Note was first serialized in Shueisha's manga magazine Weekly Shōnen Jump from December 2003 to May 2006. The 108 chapters were collected and published into 12 tankōbon volumes between May 2004 and October 2006. Supernatural: unable to be explained by science or the laws of nature : of, relatingto, or seeming to come from magic, a god, etc.